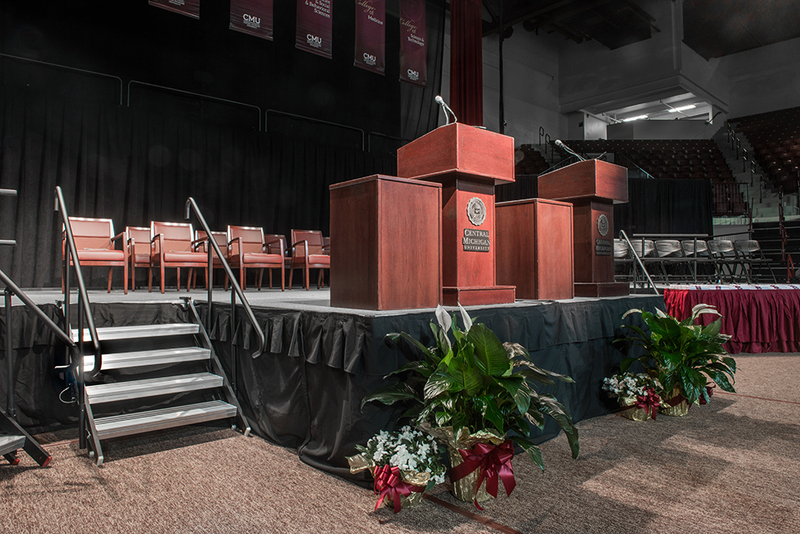 CMU’s graduation stage features the rock solid, fast, and easy to set up ME-1000 Stage Supports. 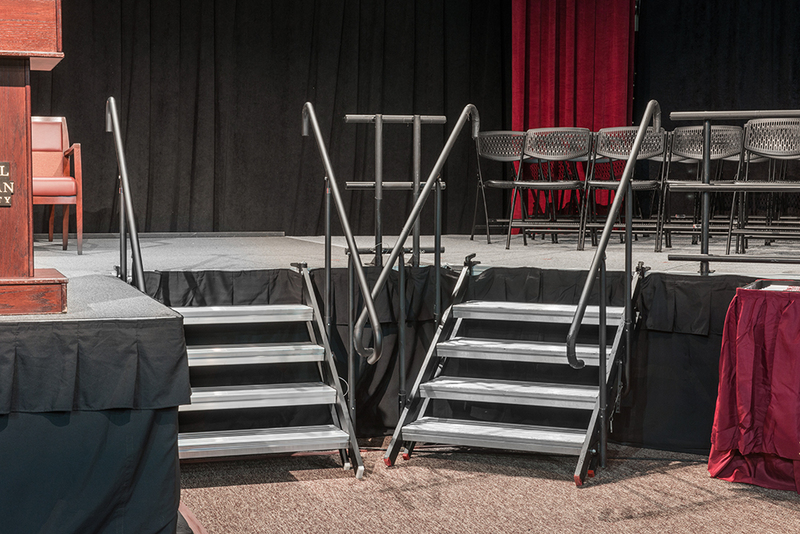 CMU has many of these supports with decks in their inventory, but with 4 large, professional rental/productions companies nearby, supplementing their equipment for their largest scale events is easy. 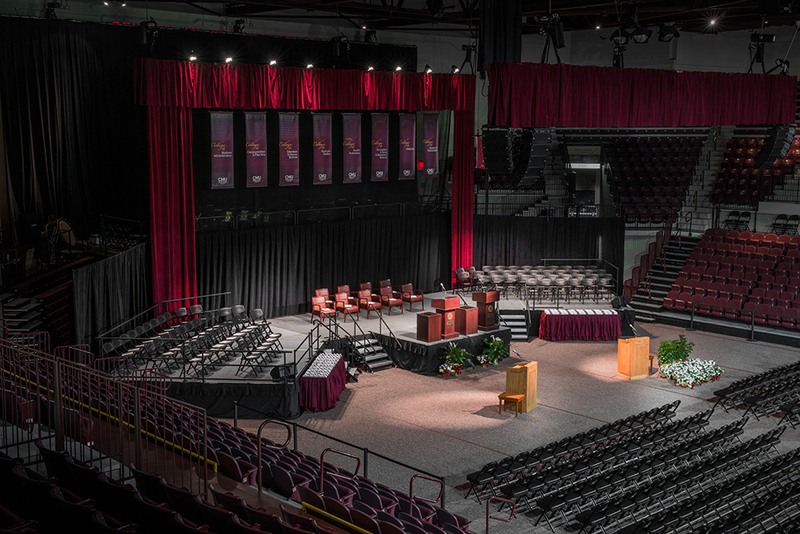 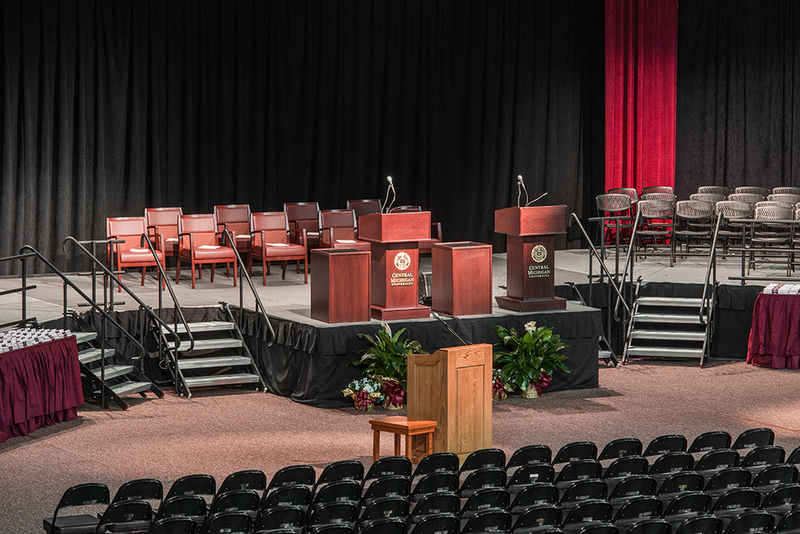 These rental companies can provide from their large inventory of ME-1000 supports & decks, allowing CMU to create large, creative configurations for their graduation ceremonies.